Visit the WIRT facebook and website pages for further, issue, and event updates and contact information for state and federal agencies reviewing BNSF applications and deliberating permit decisions. Request that local, state, and federal, elected, appointed, and agency officials conduct rigorous reviews and analyses of this north Idaho, railroad ‘funnel’ expansion, including federal, environmental impact studies and statements, and denounce, deny, and revoke all permits for this negligent and culpable project. The Unitarian Universalist Environmental Task Force and Palouse Environmental Sustainability Coalition (PESC) are screening The Reluctant Radical in the Unitarian Universalist Church of the Palouse basement, 420 East Second Street in Moscow [4, 5]. The documentary film depicts the story of climate change activist Ken Ward, one of five valve turners who shut down all United States tar sands pipelines during a four-state action on October 11, 2016. Threatened by imprisonment and lawsuits, Ken expresses no regrets for his shared, civil disobedience, and asks viewers to consider the moral question: If a crime is committed to prevent a greater crime, is it forgivable, if not necessary? He and his colleagues appeared in-person and via video conference for three WIRT and allied, educational, and fundraising events in Moscow and Sandpoint during December 2016 and March 2017 [6, 7]. Please join Citizens Allied for Integrity and Accountability (CAIA) in court room 3 of the United States Courthouse at 550 West Fort Street in Boise . Starting promptly and for only one hour, the honorable, U.S. District Court, Idaho Chief Judge B. Lynn Winmill will hear oral arguments on cross-motions for summary judgment, between CAIA and the state of Idaho. Based on the evidence presented, he will decide whether to render a judgment or send the case to trial. For CAIA, attorney James Piotrowski will assert that the state and its Department of Lands violated the U.S. Constitution, by granting Texas-based company Alta Mesa the right to take citizen-owned natural gas and oil, while failing to provide due process of law and adequate compensation to Idaho citizens, for the tremendous risks that the state forced them to assume. Amidst this emotional situation, a phenomenal legal team is representing CAIA and impacted, private mineral holders before an excellent judge, in this precedent-setting lawsuit with huge ramifications for Treasure Valley residents near active drilling activities and for all Idaho communities facing similar, future incursions. A successful outcome of this legal challenge could also have far-reaching effects on oil and gas industry practices in other places around the nation. If possible, attend this hearing, bring friends to watch the action, and witness the fruits of CAIA’s diligent work and fundraising over the last 18 months. Please help fill the court room, as a message to Alta Mesa and state regulators that Idaho citizens will take a stand to protect constitutional rights, property values, health and safety, and water, air, and soil. CAIA asks that audience members act with courtesy and respect, and do not engage in any form of protest inside or outside of the building, to ensure no compromises of positive outcomes in the court and public and media perception. Thanks for your responses and work on parallel issues, as we hope that you are enjoying an adventurous and healthy summer! 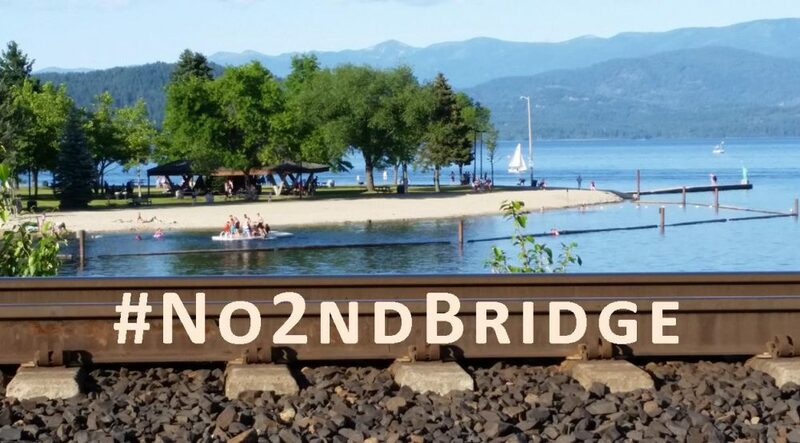 #No2ndBridge! This entry was posted in Coal/Oil Trains/Ports, Events, Idaho Fracking by WIRT. Bookmark the permalink.